We list the best stunts from the best movies for over the last 100 years. We will also discuss the best stunt performers, stunt coordinators, action directors, second unit directors and actors who do their own stunts for over the last 100 years. Unsung heroes. The job of the stunt performers are to go unnoticed. They do their jobs correctly if the audience doesn’t notice that it’s the stunt performer doing the stunt and not the actor or actress. Because of this, they have become the unsung heroes of the movie industry. It was regular practice in the early films to not give credit to stunt performers, so as to perpetuate the illusion that stunt doubles weren’t used in the films at all, to give the impression that the actors and actresses did all their own stunts. Only later did films start to list the stunt performers in films. “Stunt Coordinators” were called “Ramrods” and “Second Unit Directors” were called “Action Directors” in the early days of film. 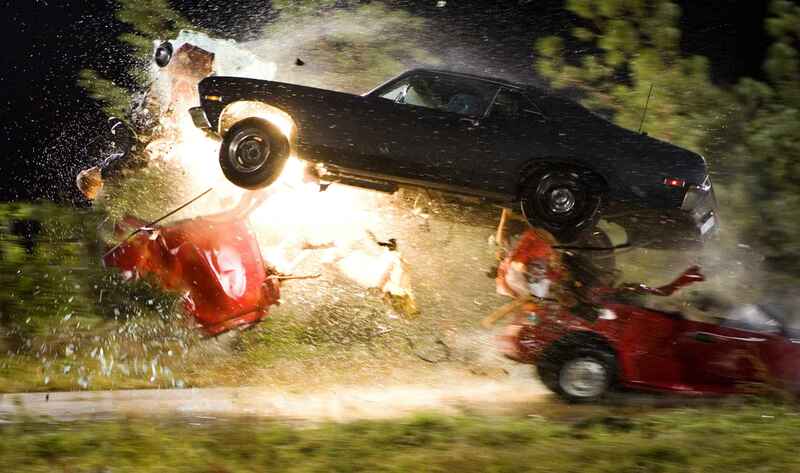 An explosive crash from Quentin Tarantino’s Death Proof (Grind House). Wikipedia states, “…But the status of stuntmen in Hollywood is still low; despite the fact that few films of any genre or type could be made without them, stunt performers are still seen as working mainly in action movies. Repeated campaigns for a “Best Stunts” Academy Award have been rejected…”. 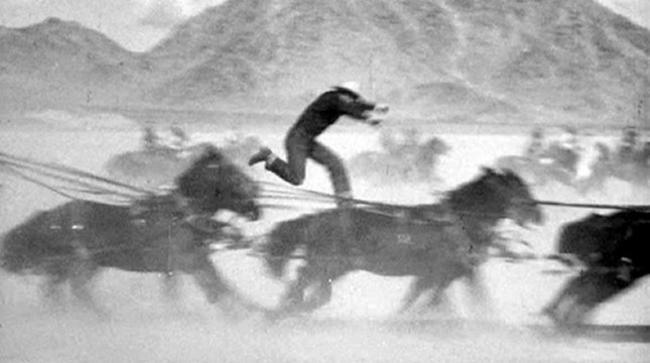 First ever Oscar presented to a stunt performer was given to Yakima Canutt in 1966 for his achievements as a stunt man and for developing safety devices to protect stunt men everywhere. In honor of these unsung heroes of motion pictures, we have written and compiled information about the Best Movie Stunts over the years and the men and women who have performed them and the stunt coordinators and second unit directors who have created some of the best movie moments of all time.